Ordering at the counter never felt so fancy. 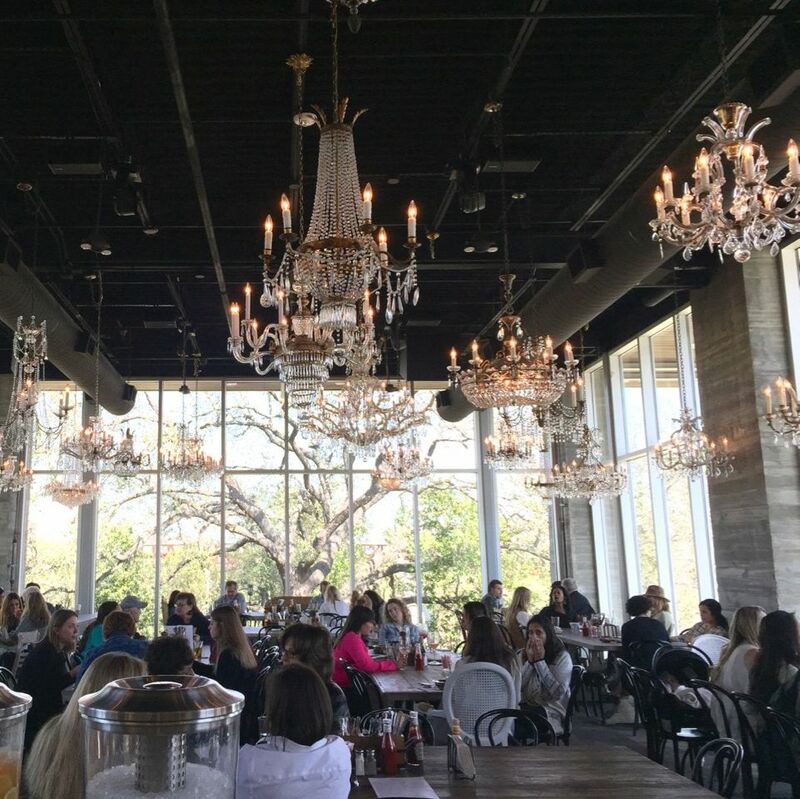 I brought an interior designer friend with me for my first lunch date at the Kitchen at the Dunlavy. I found her standing in line trying to figure out what to order when I arrived. I said hello, gave her a hug, and asked her what her initial impression was of the decor. “It’s gorgeous,” she proclaimed without hesitation as her glance swept over room. “It is, isn’t it?” I enthused. Shimmering crystal chandeliers of various sizes (and 39 in count) hung throughout the large, open space. Floor-to-ceiling windows framed the scene, which, with natural light flooding through the windows, made it feel as if we were enveloped by the surrounding foliage. A big, sprawling oak tree stood almost dead center in the middle of it all, a picture-perfect backdrop that has been Instagrammed many times over since the Dunlavy opened quietly in November. 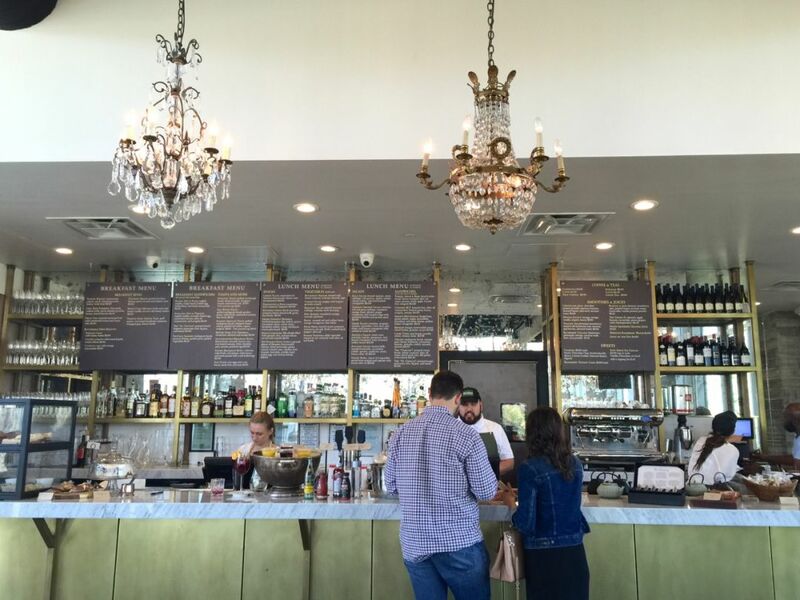 Conceived as an event space in the evening that is open to the public for breakfast and lunch seven days a week, the Dunlavy, which sits on the Bayou side of Allen Parkway and is named after the street at which it intersects, only recently came onto my radar. If you haven’t heard of it, or if this is your first time hearing about it, don’t worry, that’s how they wanted it. A full table at the Dunlavy. 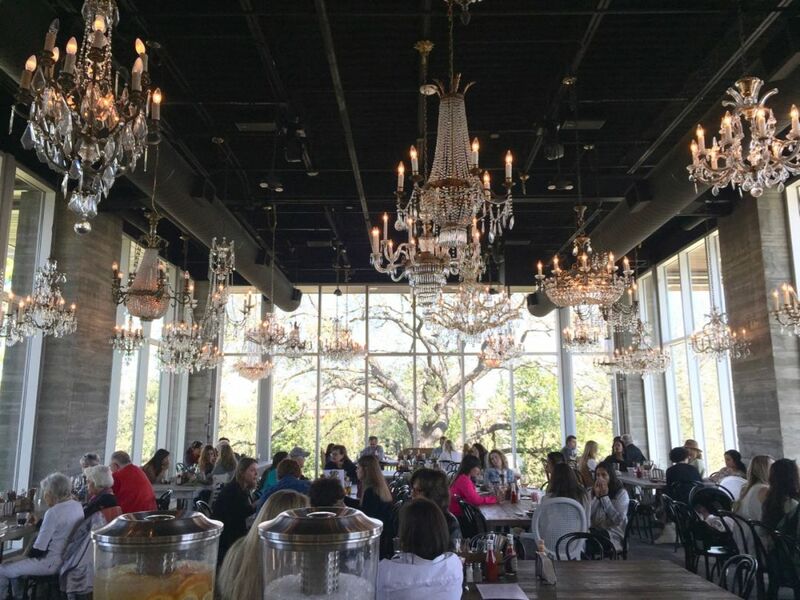 A quick survey of the dining room confirmed that yes, it was busy, filled with ladies who lunch, businesspeople, young mothers with their babies and athletically dressed patrons who had obviously just come up from the bayou. 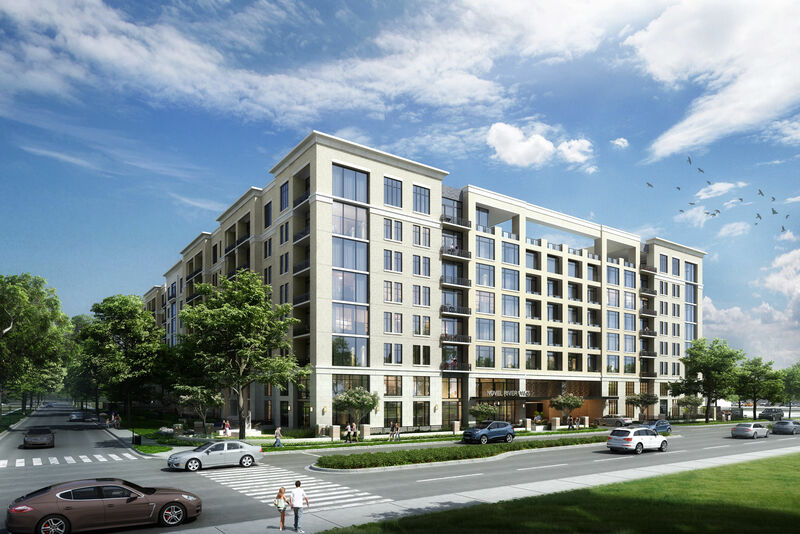 Though the interior might be considered upscale and formal, the counter service model, and the fact that seating comes in the form of large community tables that you have to share with strangers, makes it easy to come as you are. 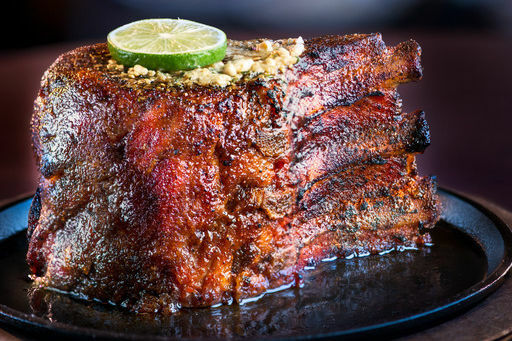 The menu is simple American fare with a touch of Southern California. 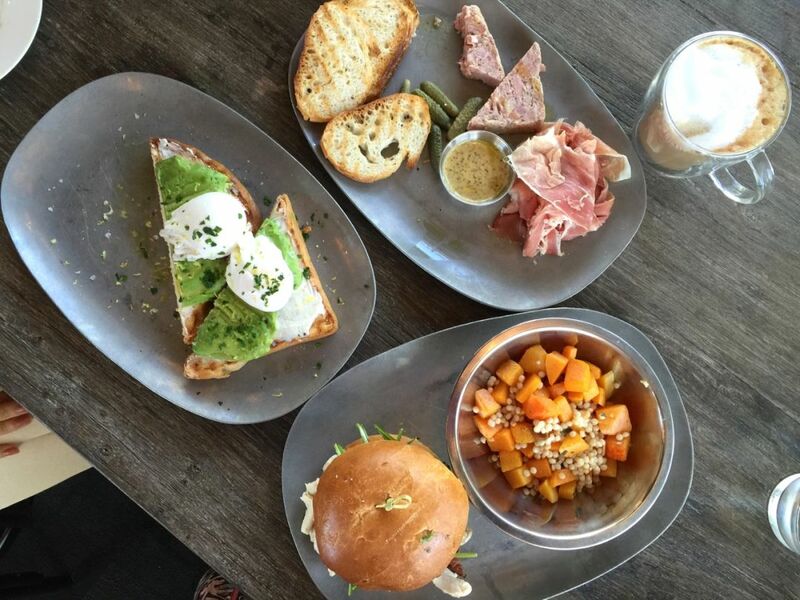 Breakfast sandwiches, house-made pastries, smoothies, toasts and more substantial eats like steel-cut oats or a breakfast bowl start the day. At lunchtime, the main features are salads, sandwiches, and veggie dishes. And there’s a weekend brunch which combines the two menus, offering popular items like avocado toast and the lamb gyro. My girlfriend and I ordered a prosciutto-and-pâté plate to share, along with an avocado toast for her and a chicken BLT for me. Water and iced tea are self-serve, so we poured ourselves purple-hued hibiscus water. Number in hand, we found a couple of open seats in the far left corner of the room, across from a patron who, laptop and work spread out before her, said she’d staked out that corner since her breakfast at 8:30 a.m. When the food came, it looked bright, fresh and delicious. 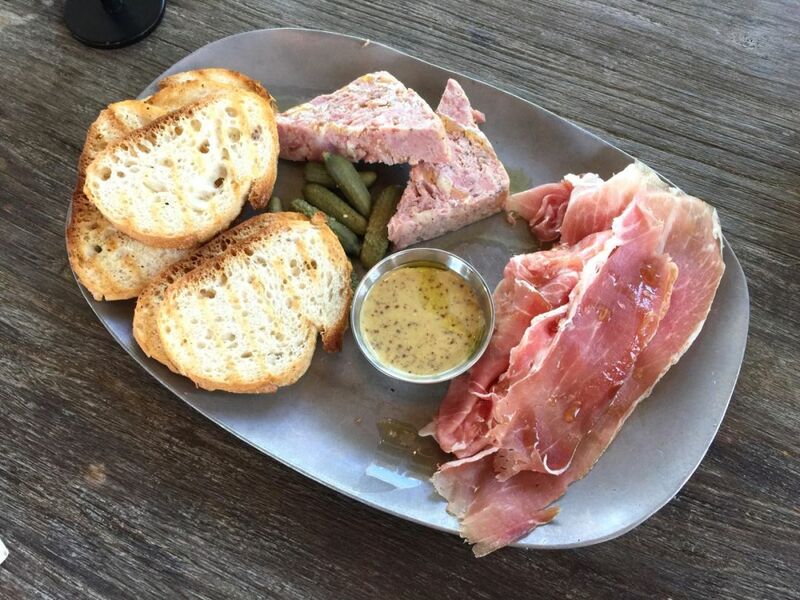 Two triangle-cut tranches of country-style pâté, served with a mound of thinly sliced prosciutto, cornichons, toasted bread and mustard, were simply plated but made an appetizing picture. It was something you’d take with you on a lavish picnic, and we loved it. All it needed was a glass of wine to go with it, and a quick survey of the counter told us that they had plenty for us to order if we wanted to do so on our next visit. Avocado toast with poached eggs, $7. 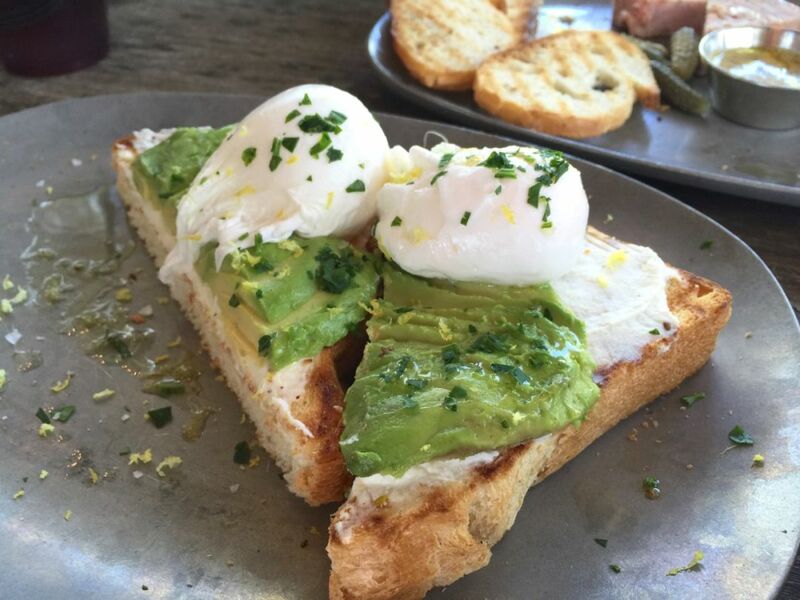 The avocado toast, which can be ordered with or without a poached egg, was also very good. Though the grilled sourdough toast tasted a bit more bread-y than I would have preferred, it was generously topped with creamy and ripe avocado. Whipped ricotta, a sprinkling of lemon zest and a poached egg that oozed nicely when we cut into it made for a very satisfying dish. Chicken BLT, $14, with butternut squash Israeli couscous. 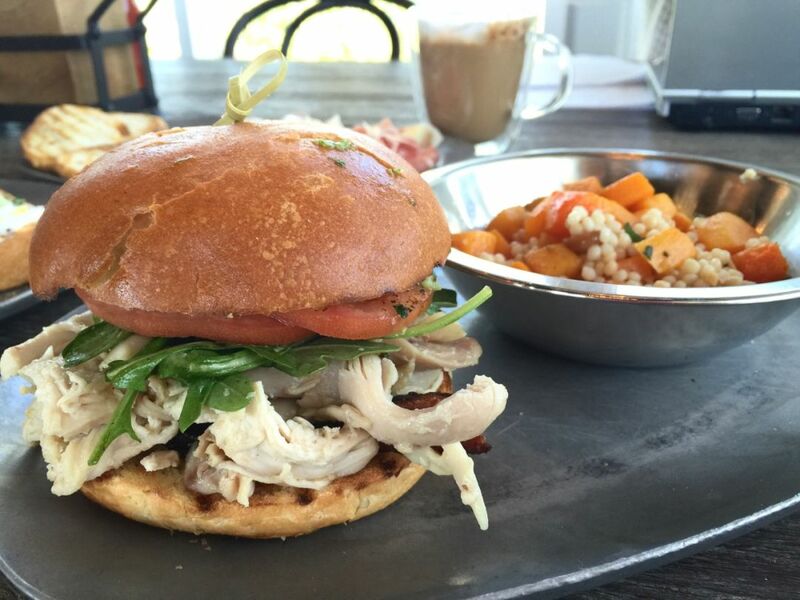 My pulled rotisserie chicken BLT, served on a brioche bun with arugula, tomato and bacon, came with a side order of bright orange butternut squash that seemed to fit just right into the environment. I found myself biting into the sandwich with relish, feeling decidedly happy, because here was a restaurant that was really in tune with what it wanted to be and what it was giving its customers. The Kitchen at the Dunlavy is one of Houston's most beautiful restaurants. It’s a winning combination. The Dunlavy serves up style in spades and it’s arguably one of the most—if not the most—beautiful restaurants in Houston at the moment. 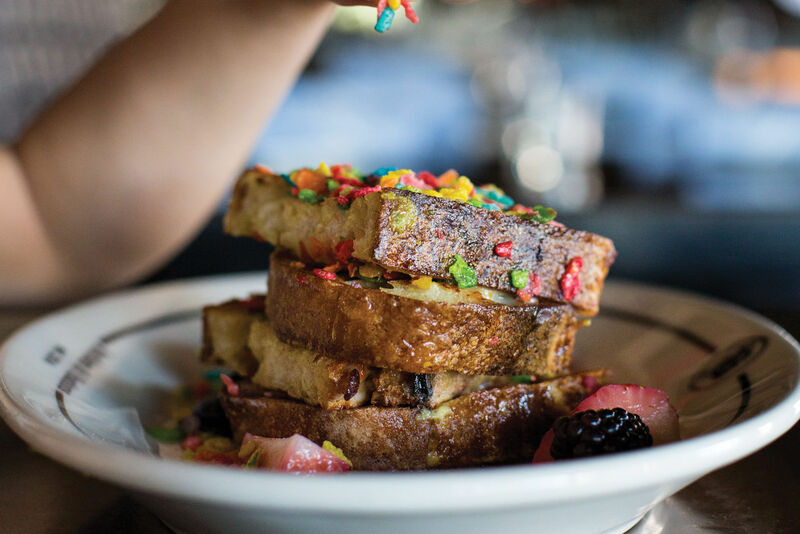 Combine that with a well-executed, chef-driven menu and an ambience that invites you in, whether you’re wearing yoga pants or dressed to the nines, and you’ve got a contender for one of Houston’s best new restaurants—even if it only serves breakfast and lunch.